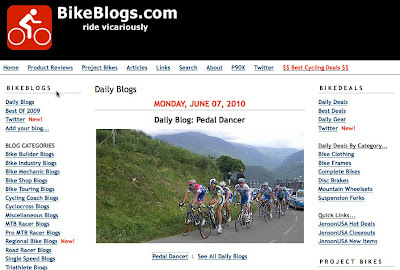 I was so excited to receive the message from BikeBlogs.com this morning that my new cycling blog was featured as the Daily Blog. I hope to provide you with interesting reading about cycling in Colorado and France, and bring you a dose of culture, history, trivia, imagery, controversy and fancy. Thanks for following!